Please note that this snippet will work for WooCommerce 2.0 and 2.1, but not 2.2+ – the order status structure has changed in version 2.2 to support refunds. If we post an updated version, we’ll link to it here when published. We also have a convenient plugin available that can do this for you, which will continue to be updated even if this tip becomes irrelevant: WooCommerce Order Status Control. I am bookmarking this one — thanks again Justin. Thanks a lot for sharing, it’s exactly what I needed! Hey Hendrik, sorry to hear it’s not working for you. I just gave this solution a try in the most recent WooCommerce and it worked just fine for me, so not sure why it wouldn’t be working for you. One thing to note is that this will complete an order only if the entire order consists of virtual products. If I understand. I have to put the code in my “fonctions.php” of my “inspire-commerce theme” and that’s it? I sell a membership for the website so it’s not a physical product and not a downloadable product too. The orders status stay on “Processing” until I put the orders on “Complete”. So the customers can’t reach the membership content until I put the order on “Complete”. I hope this will fix my problem. It’s working now! Thanks for sharing with us this solution. It’s very appreciate! I’ve pasted that code into my theme’s functions.php at the end, but before the ?>. I’ve set the product to Virtual and it’s still not auto-confirming the order? Do you think I could use this for a regular product as well? I have a customer who never bothers going into their admin panel so the orders always sit as ‘processing’ and I would like them to automatically be marked as completed. I fairly new to WC so I am having some trouble figuring out how to do this. So would that look like this? For some reason, this code does not work for me. I can’t figure out why, as the original code (for virtual products only) did work just fine. I had a question about your choice of conditionals…. What is the point of checking that original $order->status ? Also, nitpicking, but shouldn’t it be add_filter()? Anyway, I appreciate your sharing this! Cheers! Hey Kathy, thanks for pointing out my action/filter misstype, wordpress is so loose with that sort of thing that I think it still works anyways, but I do prefer using the correct one. As for checking the original order status, I based this function off of WC_Order::payment_complete(), and they make the same check there and so I maintained it. One more thing: I presume you are adding this to your theme’s functions.php?? I ask, because I’ve tried putting this in my plugin’s class and my function that is attached to ‘woocommerce_payment_complete_order_status’ never seems to fire. it was a facepalm!!! of the highest order. hangs head in shame. thanks again for this post. Ha ha, no problem, glad if it was of help to you! Looks like you have another useful piece of code I want to use! I am trying to adapt this code so that any orders I get with the status ” On Hold” or “Pending” are updated to “Processing”. Nothing changes on the backend with the above code. What am I doing wrong? Where here we don’t even care what the previous order status was, we’re just making all on-hold/pending status’ change to ‘processing’. Many thanks for the explanation. I understand where I went wrong now! I will give the new code a try and post back with my results. Little by little I am beginning to understand, it’s a slow process for me though! OK, I tried the new code, but nothing seems to happen. I have placed a couple of orders and they are still at the “On Hold” status. Does this mean the user upon successful sale is redirected to the theme options page? Think I might be doing something wrong? Every time I put the code in my ‘functions.php’ it just makes the code appear at the top of my website for everyone to see. Great! worked perfectly for me 🙂 really nice work!! This process seems to have broken after an update to WooCommerce 2.0. It doesn’t seem to be passing $order_id. I’m digging under the hood now, but wanted to see if you have run in to this as well and if you had a solution. Hey John, I just took a look at the WooCommerce code and it’s definitely still passing the order id; must be something else going on in your environment? Did you get this working? Yes, I’m in the same boat as John. Marking orders as complete is no longer working for me. I’m still looking for a solution as this functionality was great to have. Doh! Also not working for me on WooCommerce 2.0. In my case I use payment method “COD” as its a free download, I just want them to go through the checkout process and get download immediately. It’s Virtual and Downloadable order. The order remains in status “On Hold”. Should I perhaps try another payment method like Bank Transfer? Im trying to get your code to work for me. im using variables products though, so i cant seem to get this to work? Hey Mark, I have updated the code to be WC 2.0 compatible, and tested with a variable virtual product and it is now working. Cheers! I have applied this a while ago and it worked great until today. I haven’t updated the woocommerce plugin but i have updated the Follow Up Emails for woocommerce plugin because welcome emails were not going out, could this have effected it? If not, how would I go about diagnosing why it is not working. THANK YOU kind sir. I was able to easily modify this code to work for my specific needs. I used the same hook to submit data to a CRM to manage my customers better. Hope you can give me an idea on where to start troubleshooting this — the code works – virtual orders are being marked as complete. However, I’m testing a Simple product which is *not* marked as virtual, and it too is being marked complete upon successful purchase. Hrm. If I remove the code, then virtual products and simple products return to default functionality, and show up as pending. Any idea on where to start looking? Somehow the code is returning that all purchase are virtual no matter what. I can’t see where I can put in another conditional to bail out of the script if the product is not virtual… as that test is already right there. Stumped. I’ve checked and double checked that the product is just a regular old physical product, no downloads no nothing — shipping rates show up, tax shows up… ???? Just read the last comment before the one I posted and see that I had old version of the code from somewhere else. ha ha ok cool, I just tested the code in my dev environment and it worked fine so I was about to ask whether you had the latest. You beat me to it! Will this help fix my issue?, I can seem to go through the whole process of adding a virtual product…in my case a mp3 file, but it wont show the download links on the order page or even in the email woocommerce sends out. I managed to get it working for a pretend user I created but I had to manually go in as admin to the order page and grant access to that file (product) so it shows up under the “My Account” page when I log back in as a user. I am very confused. I have been searching google and ended up here. any help would be great! I think it’s basically not auto approving it somehow. I am just paying myself between 2 of my pay pal accounts and the transactions are working. Just the available download links are not working. Hey Jeramiah, sounds like the orders aren’t being completed properly. You’ll want to make sure PayPal is sending the payment notifications correctly by looking at the order notes for the order. If you don’t see “PayPal IPN Completed”, then you’ll need to look into that. This looks to be the code i’m after but nothing happens… I have setup my WooCommerce product to be virtual and downloadable and when the i complete the order with the default “Direct Bank Transfer” as admin the order stays on-hold and not completed. WooCommerce looks great for a membership site offering digital files, but really a must have is being able to auto approve customers rather them having to wait to get manually approved to have access to the files. 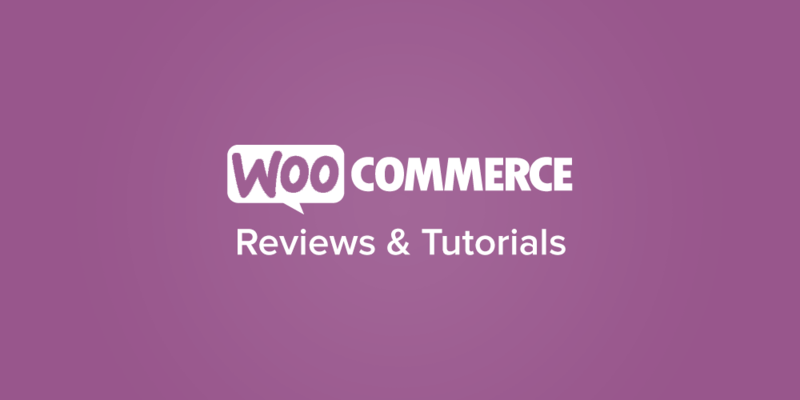 I’m updated to WooCommerce 2.0.10. Hey Matt, “Direct Bank Transfer” changes the order status to ‘on-hold’, which doesn’t indicate to WooCommerce that payment is complete for the order. You can add a bit of code to automatically complete orders paid for with “direct bank transfer”, but you then run into the issue of people submitting fake orders in order to get immediate access. Hey is there anyway to do it without a hook? Brilliant! … works perfectly …. I’m using it with The Events Calendar & WooTickets … It would be great if I could get “Virtual” to be the default setting on every product… Any thoughts?? I’m trying a simple thing but no success. I just want to skip whole “pending” and “on-hold” status. I want that all orders after they are payed go automatically to “processing” status so user receives email notification. This is what I came up with help of this thread, but it’s doesn’t work. That filter you’re using doesn’t exist 🙂 The code above only works for orders that have received payment, so if you’re using something like PayPal, make sure that IPN’s are working correctly and orders are being moved into the “processing” status first. OK. Is there a way to skip whole pending and on-hold process, and just tell woocommerce that all orders go to processing mode? Very new to all this. What would the filter be for “processing” and where would I put it? Thank you for sharing your solution. It perfectly works on my site! Thanks ! this code worked for me . Thanks for sharing that code, it’s very useful! Is there a compatibility issue between this code and the Follow Up Emails for Woocommerce plugin? Looks like none of the auto emails are triggered when using this code (triggers based on status=complete)? Would the plug-in you sell work better? Is there a way to auto select/default the virtual checkbox as I am using wp user frontend to load products and need both virtual and downloadable checkboxes to be automatically selected? Well anything’s possible, but I’m actually not familiar with WP User Frontend. Perhaps someone else out there has an idea? If your orders are already being marked as “processing” you can set the option under WooCommerce > Settings > General > “Grand Access to downloadable products after payment” which should work for you. Hmm unfortunately, it is not working on my site… I have the WooCommerce combined with Wootickets (for The Events Calendar), and as a payment gateway I am using Sisow IDEAL (in test mode). Any idea what could be the problem? Would be great if there would be a way to autocomplete the order. Right now my wordpress is not even sending out a notification of a new order, because of the status ‘pending’. Would be perfect if it could at least move from pending to processing without my help. Could this be because of the test environment maybe? or the maintenance mode my site is in? This code will only work if your payment gateway is marking the order as payment completed first. The Mollie gateway relies on a payment notification that your site must process first, so I’d check to make sure orders are being marked as “processing” — if they always show as “pending”, then that’s your issue 🙂 It could be because of a test environment, especially if it’s local to your computer or is otherwise prevented from receiving the notification from Mollie’s servers. I have the same problem than Marlies. I have the WooCommerce combined with Wootickets (for The Events Calendar) and I would like to process just those tickets, so I use your code changing the type of the item from ‘line’ to ‘tribe_wooticket’. Anyway, it’s not working and it has the same effect if I comment the line with the “add_filter” code. I’m using a free product, so there’s no payment. Can that be the source of the problem? I would like to do it the opposite way. Currently and order are mark as “Processing” when a payment is done. I wan’t it to be marked as “Pending”. Is it possible? Just note that WooCommerce defines the “pending” status as “order received (unpaid)”, so just be certain this makes sense for your business processes. You guys rock, this is the exact code I needed on a member association site for a client. i am using the wordpress theme flexform. any idea what i am doing wrong? No, really not sure, this code has been verified to work on numerous systems, and the nature of PHP is that if it works in one environment it will work in another, so I’d have to think the change was some coincidence, or something else was going on. I know it’s been a while, but I hope you got this resolved anyhow! Why in the world talk about changing the status from another status and no one says anything about change of status from a client action? Example: After the purchase the customer must approve an image by clicking a button of “approved” and automatically change the status?? Is it very difficult? Hi, thanks for sharing your code! I will try it right now but I have a doubt: will your code work with downloadable products (free products) ? Thanks man! Enable this option to grant access to downloads when orders are “processing”, rather than “completed”. This code makes transactions completed for virtual products, since if the box is checked for the option you mentioned, the admin will still have to mark the order as completed but when the code is used, that extra step is no longer necessary. Is that possible to also force sending the completed order e-mail to the customer ? i’m selling a virtual product which usage is described into the completed order e-mail (template override to display customized information). Thanks for this. It works as expected, however, how can I make sure all other actions from other plugins fire when triggered by autocompletion? Is there a woocommerce hook/action that is supposed to fire when the order is manually completed (by hitting the button, for instance.)? I have another plugin that is triggered by completion to trade data with another system. It does not seems to fire when autocompletion occurs. You’d have to find out which hook the plugin is using, as this set of code should trigger the same actions that would normally be run when a gateway completes an order. Thanks for this code. I have it up and working. I’m wondering if this functionality could be moved into a homemade extension. I tried that first and my website didn’t seem to like it so I deleted the homemade extension and put the code into the functions.php file. I’d rather not have to edit a theme related file so a homemade extension would be ideal. Hi there thx for the great solution but i need something else related to this. I need this solution to works for all orders that are made and paid by PayPal and other gateways. I also want to be able to manualy process and complete the orders that are made using bank transfer or pay by cheque? What do i need to change ? Hi there, the code provided should work just as you’ve described, as it won’t autocomplete orders via check, bank transfer, or manual gateways. Thank you very much! This is a very useful article. I am designing a meal plan website and I can’t seem to figure out how to get orders that have used a 100% off coupon to have the order autocomplete. It doesn’t seem to be working when the price they pay is $0. any ideas? Hey there, since free orders don’t use your payment gateway, the order will go straight to processing for anything with a $0 cost. You’d need some custom code specific to free orders to get this to work. I’ve been trying to use this function but it seems that when trying to make payment via paypal, WooCommerce is not doing the payment_complete function. I’ve tried to fiddle with the checkout class to confirm this. Check out the FAQ on this page with PayPal steps for debugging – it’s most likely an IPN issue. Sounds like code may have gotten duplicated – make sure there’s only one function virtual_order_payment_complete_order_status() as you may have pasted twice. Yep, you could do this. If you want to make it easy, we have a plugin available that we maintain and update, as I’m sure at some point this post will be out of date. Hi, i am having an entirely different problem here. For some reason all our orders are marked as completed automatically without us making any changes at all? We are trying to make it default to processing but it wouldnt. We are selling physical goods and have not ticked virtual goods on our products. We cant for our life figure out why its doing that. We have not added any codes anywhere or plugins that would lead to this. Wondering if you can help? just reviewing my problem. we are selling physical goods. by default which im not sure why its marking all our orders completed when we dont want to as we need to dispatch it. Did not install any plugins, write any codes or tick the virtual goods checkbox. So we are unsure of why this is happening. Tried using the codes above and it worked by replacing the complete status with processing. However its causing issues in terms of triggering email notifications. Processing>Manually Complete – This sends out 2 emails, one order confirmation and another dispatch/completion email. AutoComplete>AutoProcessing>Manually Complete – This sends out 1 email, order confirmation. Whenw e tick the complete order, it does not send out email anymore. Can you please advise how we can fix this? Hey James, the scenario you’re after is how WooCommerce works by default. You should remove any code present, as only virtual orders are completed by default. Physical orders are set to processing and manually completed (typically when shipped). Try setting up a staging environment with a default theme and deactivating all plugins except WooCommerce, then place a test order. You should see this workflow. You can then re-enable one-by-one to see if a plugin or some code in your theme’s functions.php is at fault. I realize this is an old article, but I hope you still read this. The code works perfectly. But there is one small issue with causes an error on my website. This code bypasses the ”processing” status. Is it possible to, instead of going from ”pending payment -> completed” go from ”pending payment -> processing -> completed” automatically once payment is received? Thanks for your great snippet! I have a question, though: is it possible to make order status as complete by adding a custom field within the order? I’m thinking about the tracking code. I need to flag order as complete only as soon as my carrier has taken the purchased items. This is awesome. I have a custom variation in which I want to auto complete all orders except for those which are reduced to zero cost, as I need to be able to vet those orders. Is there a way to make the above possible but only for orders which cost > 0 ? I have a problem,my oder is going to pending but payment process is completed.I want its going to completed process not in pending there is any option not manualy in beckend.How i complete my process ,please revert me as soon as possible. Is there a way to do this to “on-hold” orders? We would really like all of our orders to automatically list as “completed” (even the invoice options). Is there a way to do this? …any idea why it doesn’t changed the order status?